HITS pride ourselves with providing the most qualified instructors available. Our instructors are unquestionably experts in all areas of criminal patrol and drug interdiction. We hand pick our instructors based upon their professionalism as well as training. Our officers bring a wealth of information to the table that they are more than willing to share with other fellow officers. 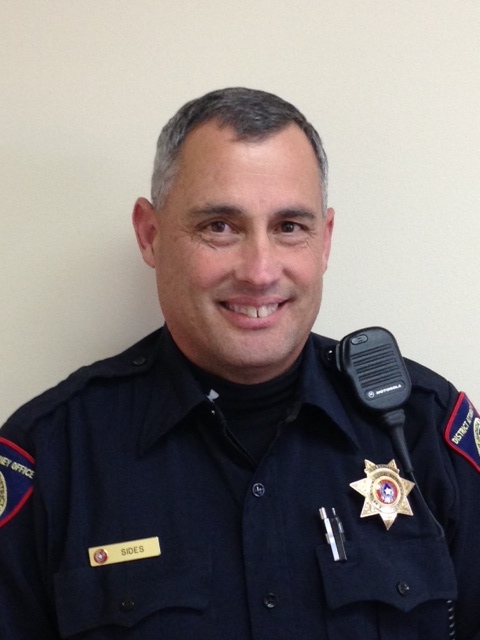 Billy began his law enforcement career in 1996 after spending seventeen years working in the oilfields of west Texas. Initially hired by a sheriff’s office, it did not take long for others to notice his work ethic and natural talent in law enforcement especially in the area of proactive policing. Billy’s maturity and abilities were quickly realized by other agencies and in a matter of months of starting his policing career, an area drug task force recruited him, and soon after that he was promoted to lieutenant. Billy worked criminal patrol as well as initiated or participated in knock-and-talk investigations, execution of search warrants, buy-busts, and organized crime cases. Around the year of 2000, he moved to Abilene Texas and went to work for the crime task force in that area continuing his proactive career in crime fighting. In 2004 a district attorney in an adjacent county wanted to do something to address the inflating crime issues within his three county prosecutorial jurisdictions. His goal was to form a small team of officers that could address crime issues within his jurisdiction that were going unchecked. The agencies within the impact area lacked the manpower, expertise, as well as the equipment to address these issues. He approached Billy and a fellow co-worker Ronnie Stiltner due to their law enforcement backgrounds. They both agreed to take on the endeavor and shortly afterwards a two-man team was formed. Though addressed as a district attorney’s office criminal investigator, Billy does not work in an office setting. His job is in the field, out in the streets fighting crime. Depending on the case or investigation, he may be in a uniform in a marked patrol unit one minute and then change into plain clothes and a personal vehicle the next. The investigations may be self-initiated or at the request of another agency. His expertise is very broad. His knowledge and practical experience in investigative disciplines is vast either from a patrol perspective or from an investigators standpoint. Billy holds an instructor certification issued by the Texas Commission on Law Enforcement Officers Standards and Education (TCOLE). To date he has provided instruction to thousands of fellow law enforcement officers throughout the United States on law enforcement related topics. He is also a principle holder of HITS Inc., a law enforcement training company responsible for developing and instructing specific training courses. Ronnie began his law enforcement career in 1991 after serving more than six years in the United States Air Force. 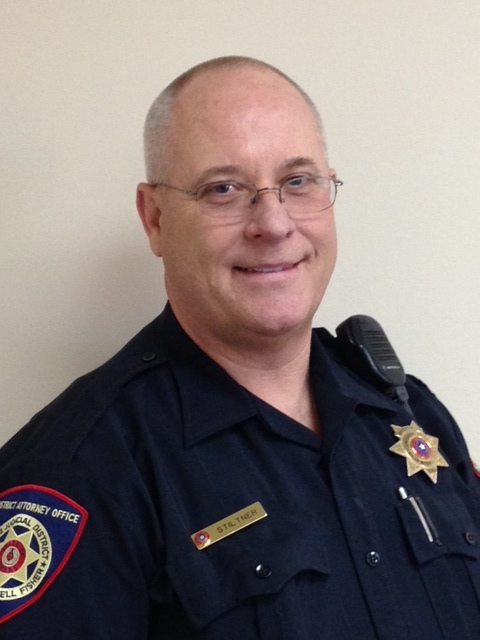 He began his career with the Abilene Texas Police Department where he spent six years working a high crime area of the city were drugs, weapons, and vice crimes were prevalent. He had a knack for working street level crime as a patrol officer, which led to hundreds of arrests and convictions. This vast experience allowed him to be included in special operations targeting rival gang activities as well as specific drug operations and crime suppression. The area crime task force recruited him in 1998. As a task force member, he worked criminal patrol as well as initiated or participated in knock-and-talk investigations, execution of search warrants, buy-busts, and organized crime cases. He was also the supervisor of the highway criminal interdiction team. In 2004 a district attorney in an adjacent county wanted to do something to address the inflating crime issues within his three county prosecutorial jurisdictions. His goal was to form a small team of officers that could address crime issues within his jurisdiction that were going unchecked. The agencies within the impact area lacked the manpower, expertise, as well as the equipment to address these issues. He approached Ronnie and a fellow co-worker Billy Sides due to their law enforcement backgrounds. They both agreed to take on the endeavor and shortly afterwards a two-man team was formed. Though addressed as a district attorney’s office criminal investigator, Ronnie does not work in an office setting. His job is in the field, out in the streets fighting crime. Depending on the case or investigation, he may be in a uniform in a marked patrol unit one minute and then change into plain clothes and a personal vehicle the next. The investigations may be self- initiated or at the request of another agency. His expertise is very broad. His knowledge and practical experience in investigative disciplines is vast either from a patrol perspective or from an investigators standpoint. Ronnie holds an instructor certification issued by the Texas Commission on Law Enforcement Officers Standards and Education (TCOLE). To date he has provided instruction to thousands of fellow law enforcement officers throughout the United States on law enforcement related topics. He is also a principle holder of HITS Inc., a law enforcement training company responsible for developing and instructing specific training courses. Troy Wall is an Agent-in-Charge at the Oklahoma Bureau of Narcotics (OBN) stationed in Oklahoma City, Oklahoma. Troy has been with OBN since 1999, beginning his career as an undercover agent. After serving in that capacity for five years, Troy transferred to OBN’s highway interdiction team when it was created in 2003, becoming one of the five original members. Since that time, Troy has had a rewarding and successful career in the interdiction team, serving as a canine handler and interdiction agent. Troy became the team’s supervisor in 2006, and is still serving as a highway interdictor and canine handler in the field. Troy holds an advanced certificate, the highest police certification, from the Council for Law Enforcement Education and Training (CLEET), Oklahoma’s certifying authority for law enforcement. Troy is also a CLEET instructor, educating hundreds of Oklahoma law enforcement officers in highway interdiction and concealment techniques. Troy has also instructed on a national level for the Regional Organized Crime Intelligence Center (ROCIC). Troy has extensive courtroom experience, testifying numerous times in both state and federal court and has been recognized as an expert on criminal interdiction and drug smuggling techniques. Troy also serves as a board member on the Oklahoma state drug dog advisory council. During Troy’s tenure as a highway interdictor, he has seized thousands of pounds of illegal narcotics and over 3 million dollars in drug-related currency. Some of the most-notable seizures are twenty-four pounds of methamphetamine (ICE) in a single stop; ten pounds of powder heroin in a single stop; and one hundred thirty-nine pounds of ecstasy (over two hundred thousand dosage units) in a single stop. Many of Troy’s interdiction stops were turned into controlled deliveries, resulting in the arrests of the intended recipients of the drugs as well as seizure of their assets. Troy’s awards include the Oklahoma Sheriffs and Peace Officers Association Medals of Valor and Meritorious Service; the Association of Oklahoma Narcotics Enforcers Regional Canine Team of the Year; DIAP/EPIC award for largest US seizure of ecstasy in 2005; and the DEA award for significant contributions to drug enforcement. 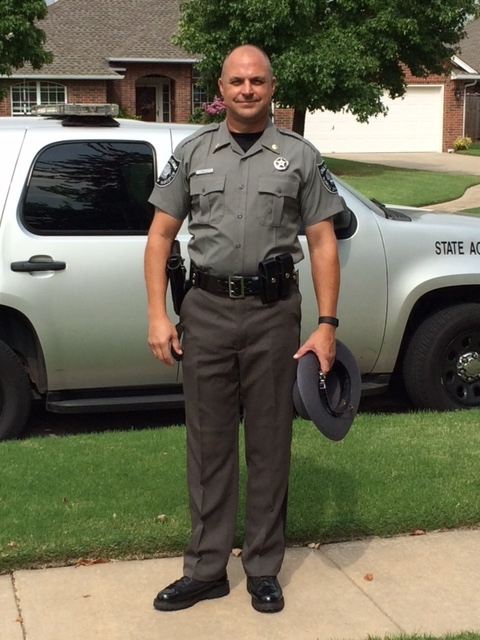 Prior to Troy’s law enforcement career, he served in the US Army and Oklahoma National Guard for ten years. He also received a bachelor’s degree from the University of Oklahoma in 1997. Stacy McElroy began his law enforcement career in 1998 and is currently a patrolman with the Gulf Shores Alabama Police Department. He is assigned to the Baldwin County Sheriff’s Department’s Special Operations Unit and works a single purpose narcotics detector K9. He began to focus his career on both inner city criminal enforcement as well as interstate criminal interdiction when he was hired with the Collinsville Illinois Police Department in 2004. He served there as a patrol officer, K9 handler and a Task Force Officer with the Drug Enforcement Administration. 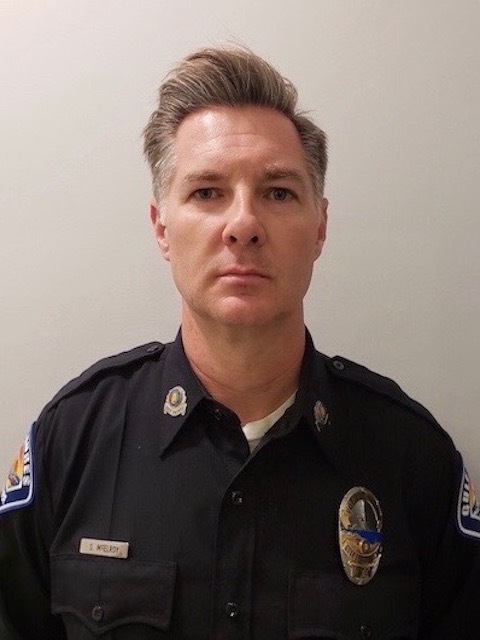 During his 19 years of service Officer McElroy has been named Patrolman of the Month numerous times and Patrolman of the Year on two occasions. He also earned the Top Gun Award for the most self-initiated felony arrests in a single year under the department’s Aggressive Criminal Enforcement (ACE) program on two occasions. During his career he has made several significant seizures and other criminal arrests. Officer McElroy has seized and been involved in investigations resulting in the seizure of thousands of pounds of narcotics and over two million dollars in US Currency. He has also apprehended several fugitives from justice including an escaped convict and a subject wanted for Aggravated Murder. Officer McElroy has located numerous secret compartments in vehicles which contained illegal narcotics and illicit United States Currency. He has been summoned by other agencies to assist in the search of vehicles due to his knowledge of hidden compartments. Officer McElroy is a Board Member for the National Criminal Enforcement Association. He is certified as a Master Interdictor through the National Criminal Enforcement Association. Jeramy Ellison is a Detective with the Williamson County Sheriff’s Office in Georgetown, Texas assigned to the Organized Crime Unit (OCU), working full time Interdiction. Jeramy started his Law Enforcement career in 2010, as a patrol Deputy, and quickly became interested in learning criminal interdiction. After attending multiple classes to include “HITS” Criminal Patrol/Drug Interdiction class, Advanced Roadside Interview Techniques for Patrol Officers class and Advanced Vehicle Contraband Concealment Course, Jeramy rapidly excelled and became proficient in all aspects of Criminal Interdiction. During Jeramy’s early career in interdiction, he was a K9 handler for three years and worked two different single purpose K-9’s. Jeramy has become an expert in locating and identifying hidden compartments in passenger motor vehicles and commercial buses. In 2014, one of Jeramy’s busts was aired on Fox News during a “cold” interdiction stop, resulting in the seizure of 111 pounds of methamphetamine from a compartment built inside a gas tank of a passenger vehicle. Jeramy prides himself in making self-initiated traffic stops and works all his criminal interdiction cases from start to finish. This has given Jeramy a wealth of knowledge in search warrants, felony arrest warrants, civil asset forfeitures, case law and other valuable assets. Due to his hard work in criminal interdiction, Jeramy has produced hundreds of criminal cases, seizing millions of dollars in drug-related currency, and more than one ton of narcotics. Jeramy has received multiple awards for his success in interdiction to include, Texas Narcotics Reginal Officer of the year through TNOA, a Unit Citation Award, and an Award for Excellence. Jeramy currently holds an instructor license through the Texas Commission on Law Enforcement Standards and Education, (TCOLE), and actively teaches others in the interdiction community. Prior to his Law Enforcement career, Jeramy served in the United States Army Infantry for three and a half years with the 2-5 CAV, 1ST Cavalry Regiment. His commitment to his country included an overseas combat deployment in Baghdad, Iraq where he received multiple awards for his service.